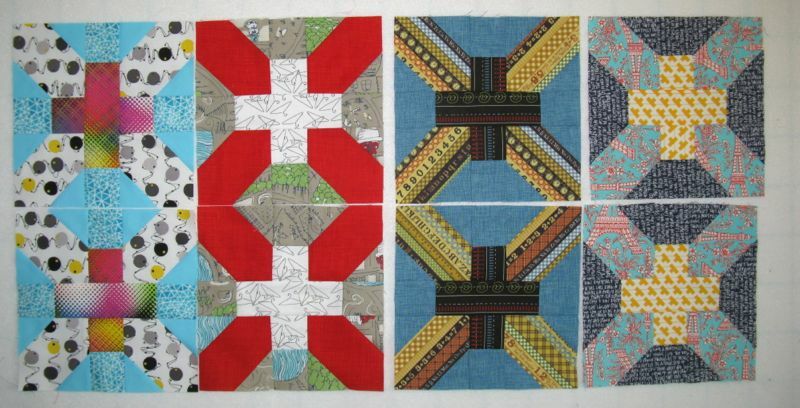 Friendship Cross-X Block Swap, March | OccasionalPiece--Quilt! 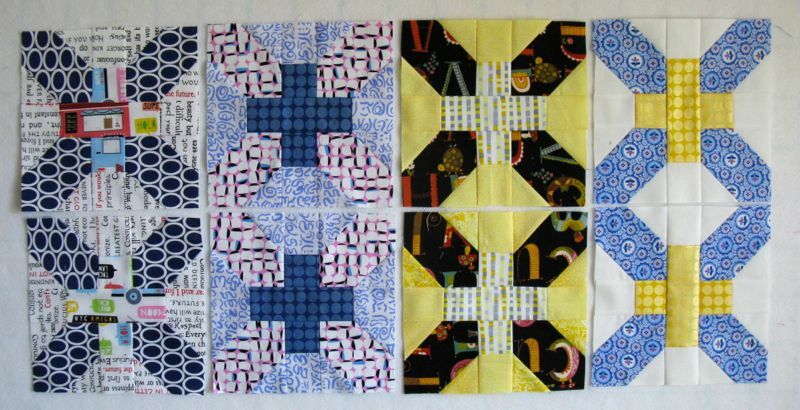 Posted on March 28, 2014 by Elizabeth E.
Krista and I decided we were impatient about getting these done, so we sped into hyper-quilt-drive and did a double batch for this month’s swap. Above is one set, all stacked together. . .
. . . and the double set all together. 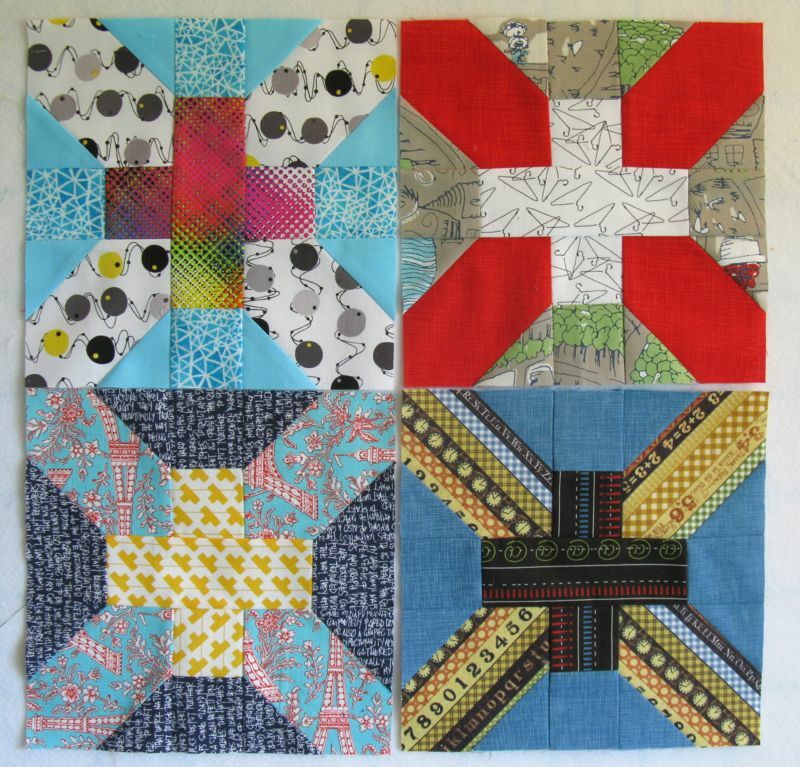 As one commenter on Instagram said, it’s interesting how the switch in fabrics can make the block look so different. This is the other set, with a few Mirror Ball Dots worked into the mix (I still have LOTS of those scraps left). And the foursome, all in a row. Looks like I was on a blue kick here, doesn’t it? I didn’t get everyone out of their bags for an overall progress shot, so that will have to wait until the next round. 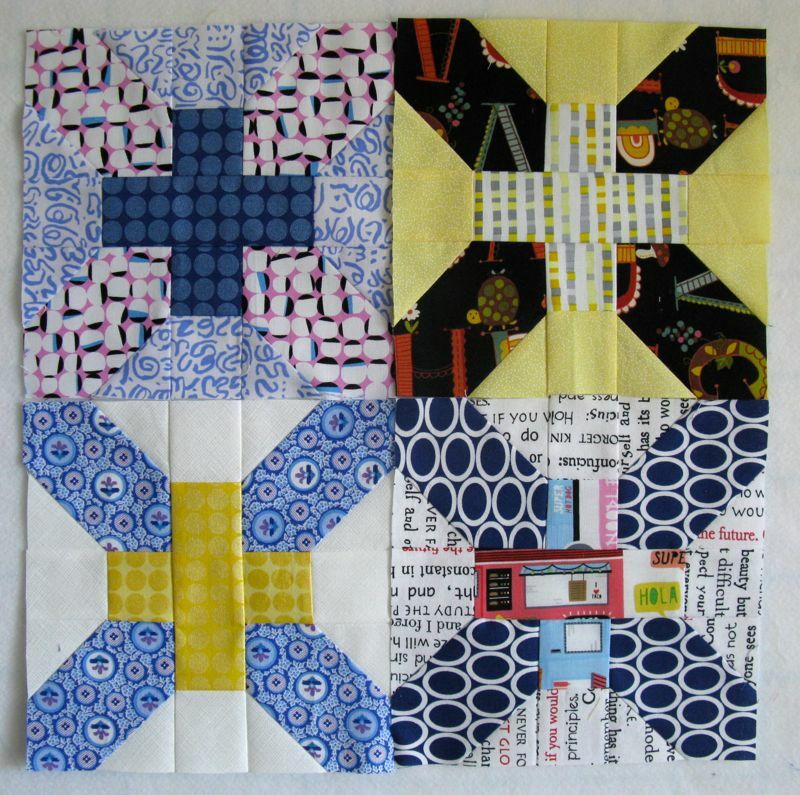 Come and see us on our Flickr Group where Krista has put up a picture up all of our blocks together. Again…so pretty! I love the mix and match of colors. I agree, they do look so different. You certainly went into overdrive! Love this block looks like so much fun! Such a great job. Some of those would work well with Maria’s and mine!! Going to be a super fun quilt.